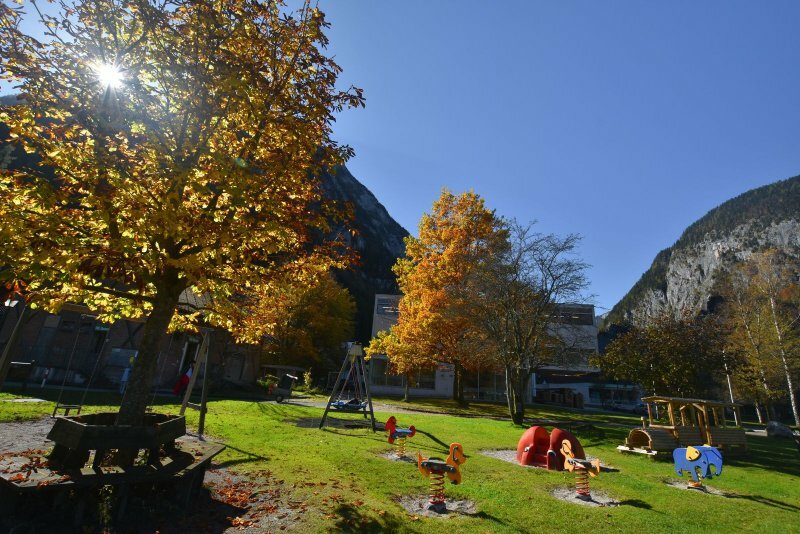 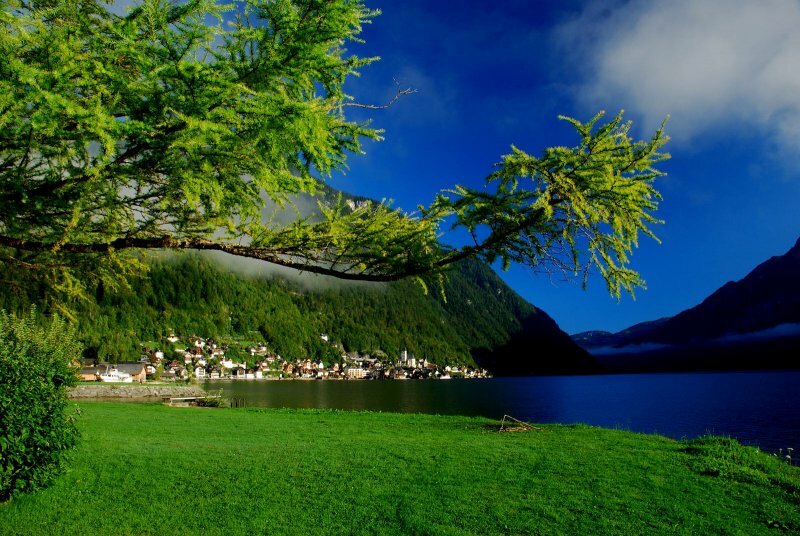 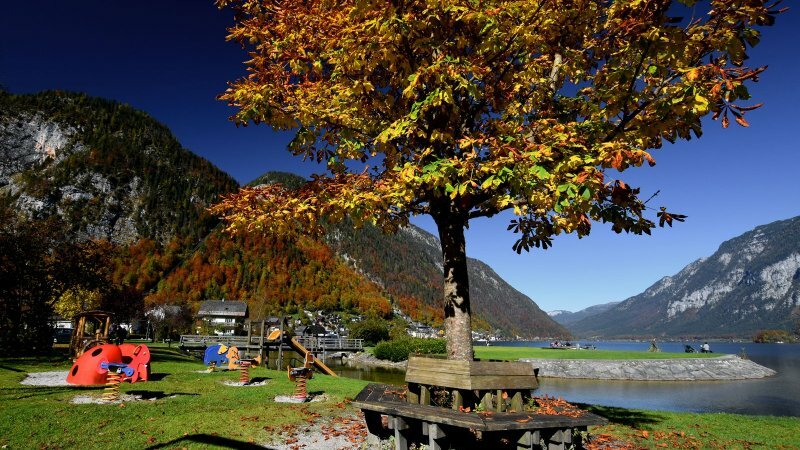 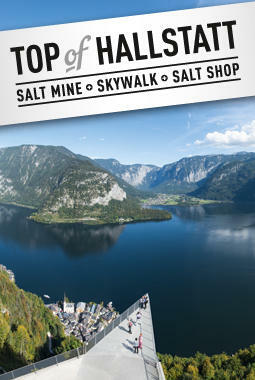 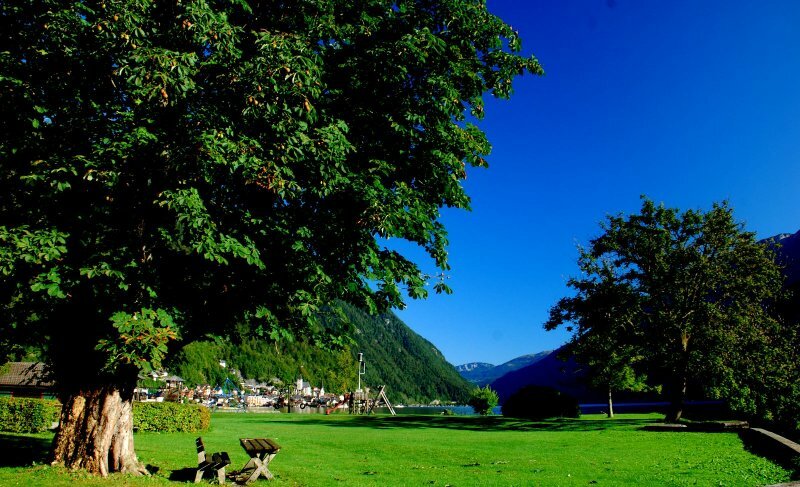 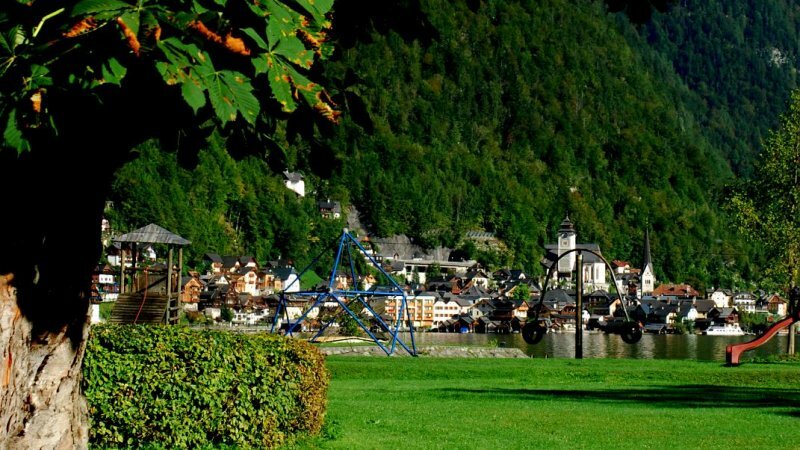 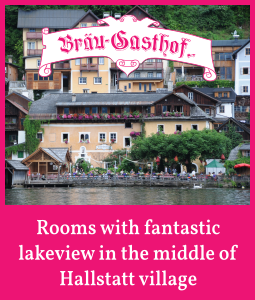 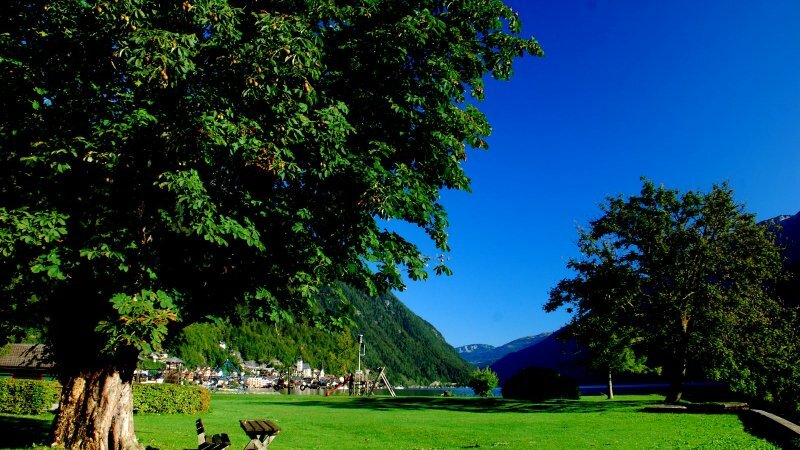 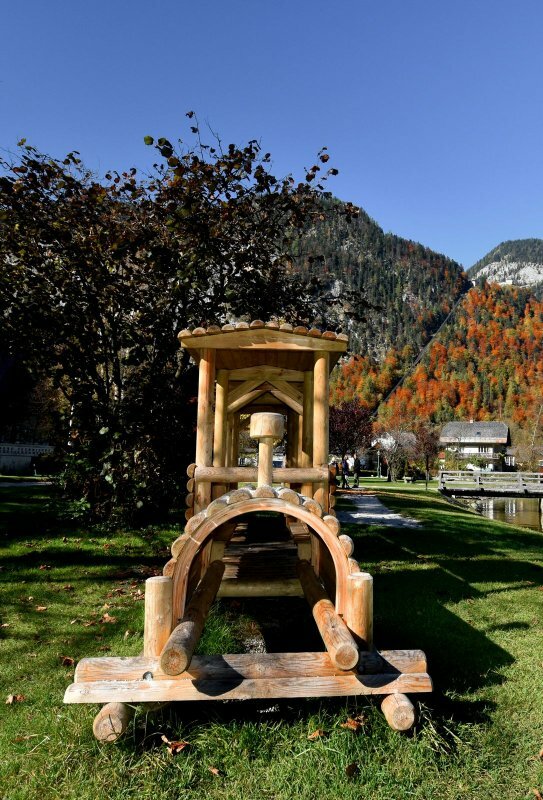 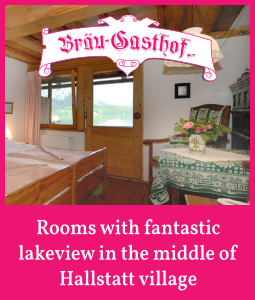 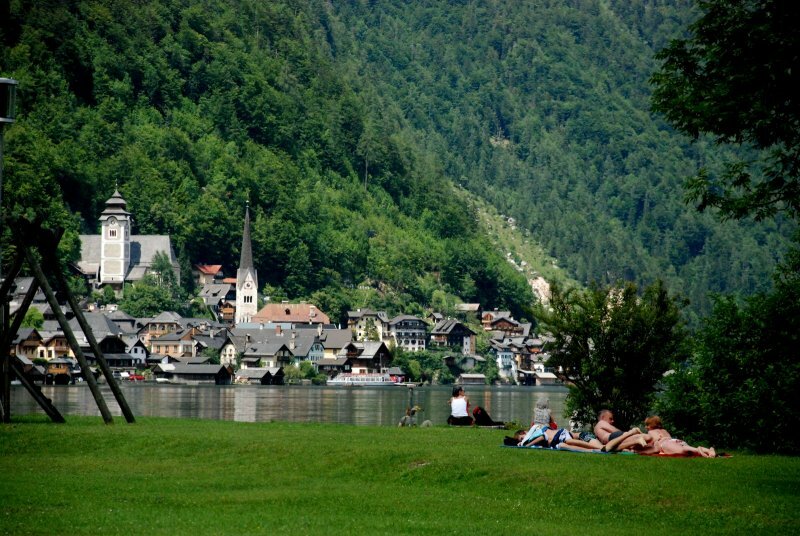 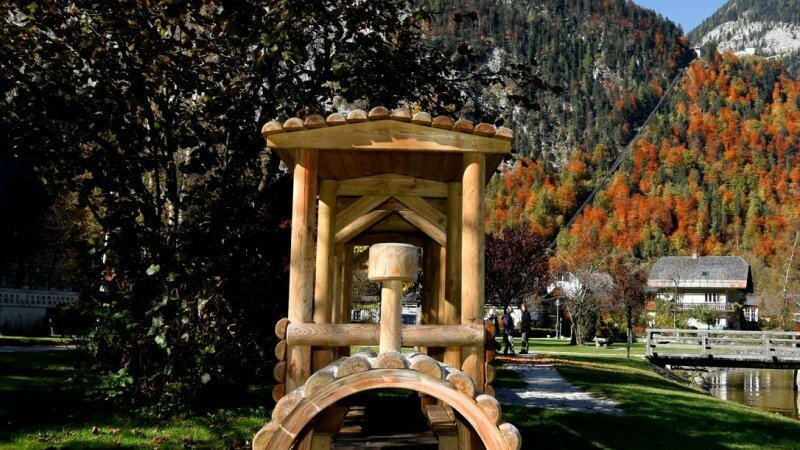 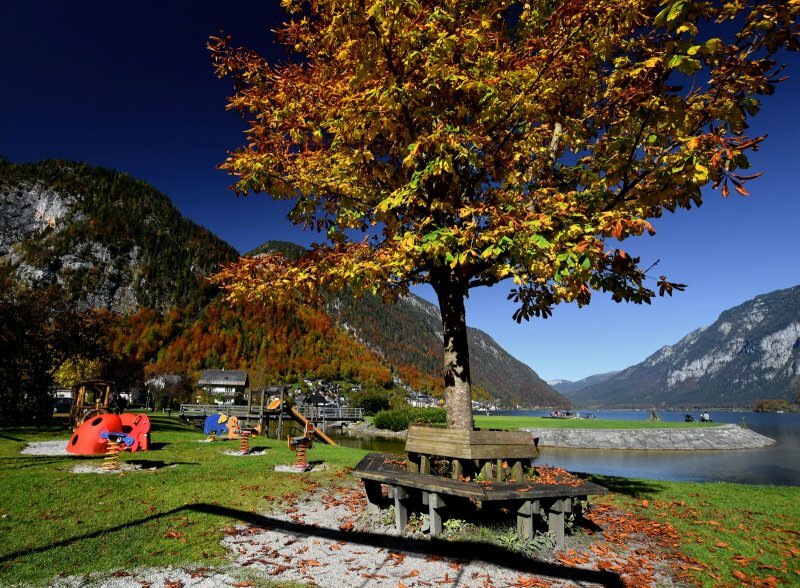 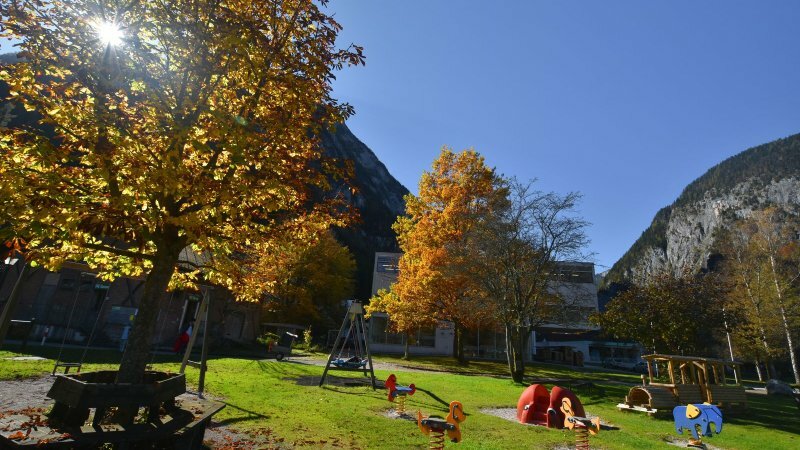 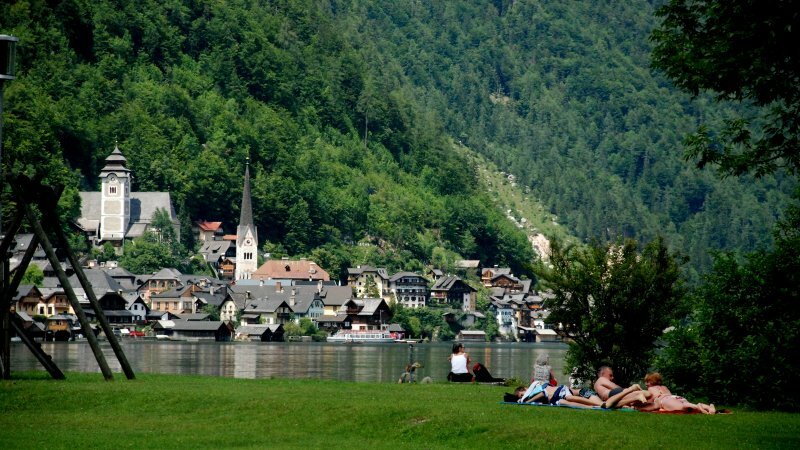 Bathing island in Hallstatt with panoramic views & Children’s’ playground in Hallstatt on your holiday in Hallstatt. 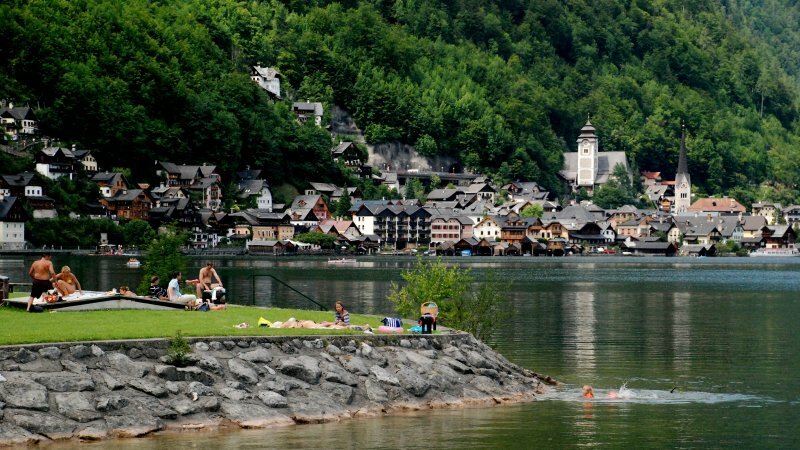 The whole family will enjoy the beach in Hallstatt. 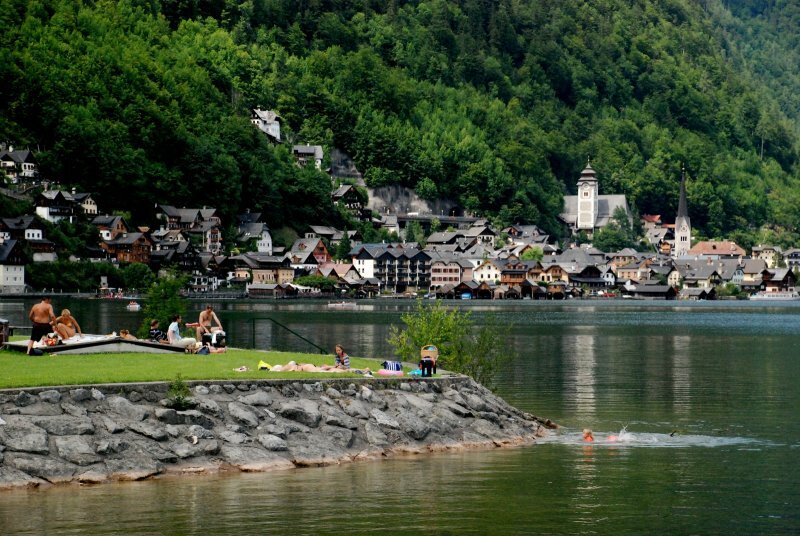 Just a ten minutes' walk from the town centre, is a small artificial bathing island, which is connected with a bridge from the shore. 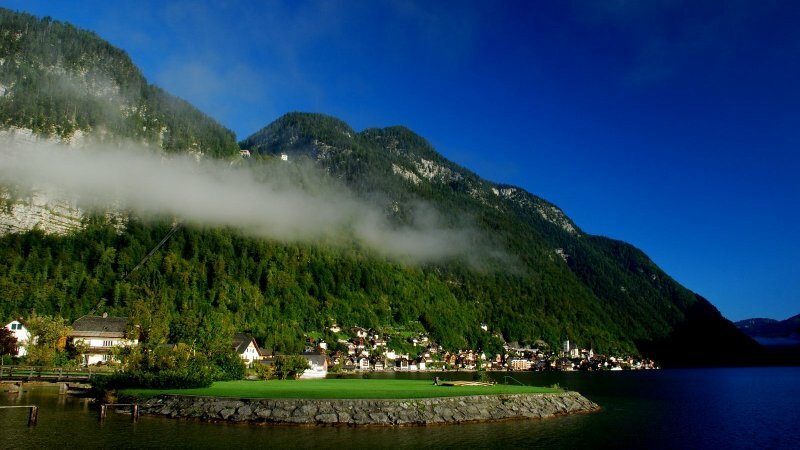 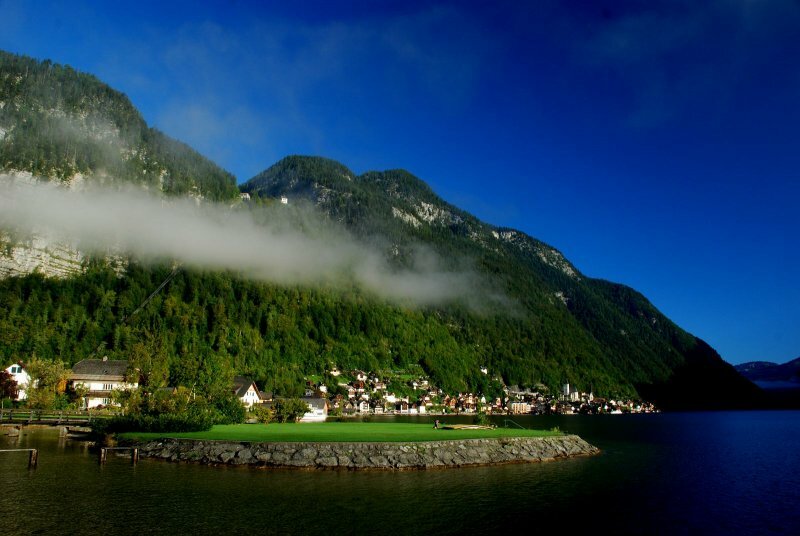 The island was built in the sixties using the rock excavated during the building of the Hallstatt tunnel. 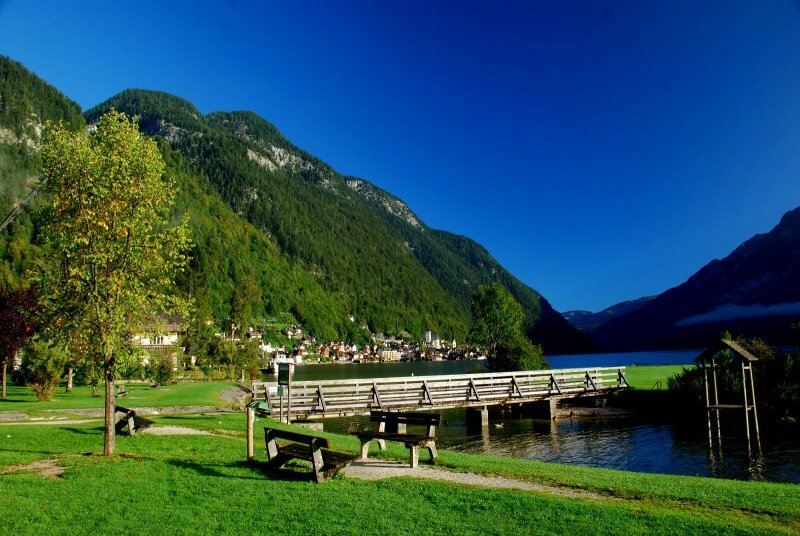 Today the bathing island in the World Heritage region of Hallstatt / Dachstein Salzkammergut is a meeting place for guests and hosts. 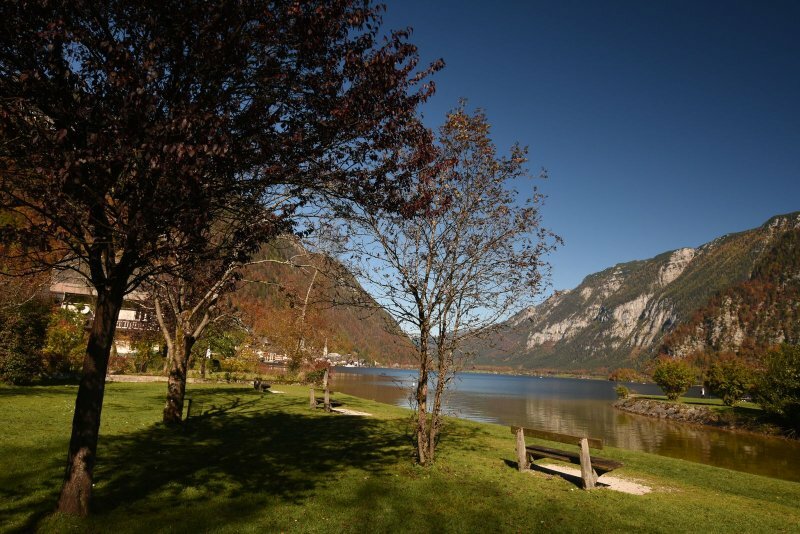 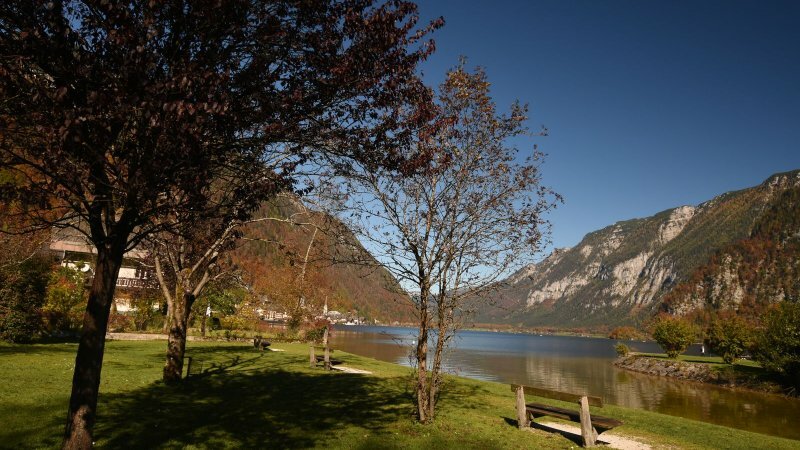 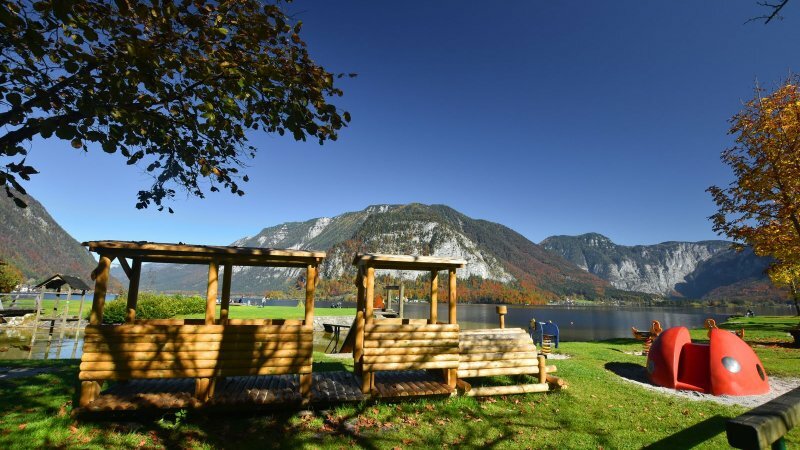 Whether you simply want to let go and relax, or fancy bathing and swimming in a natural landscape: You will find recreation at Hallstatt beach. 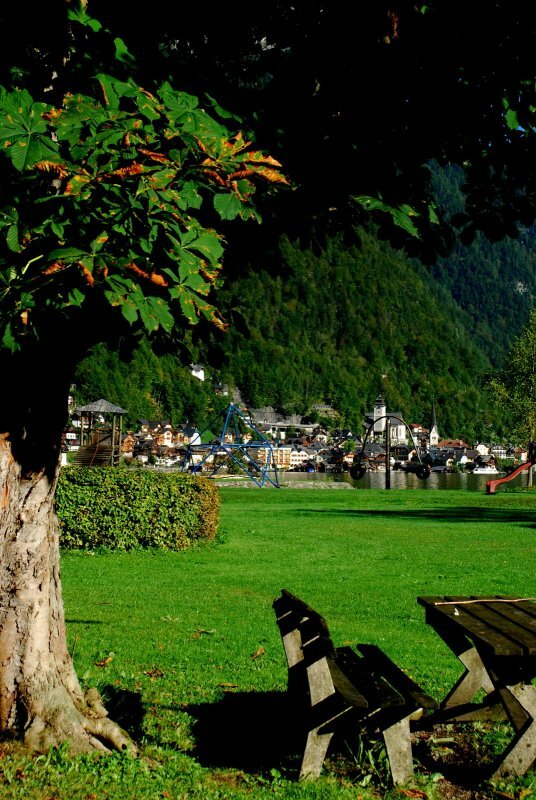 Read a book by the lake or explore the various playground apparatus in the large playground with your children. 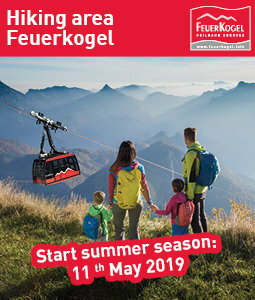 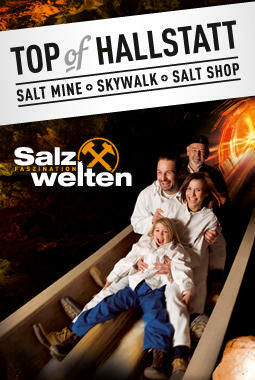 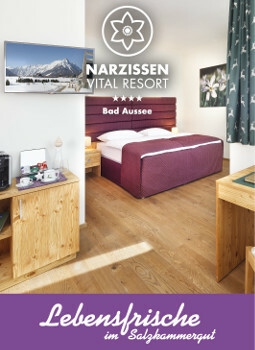 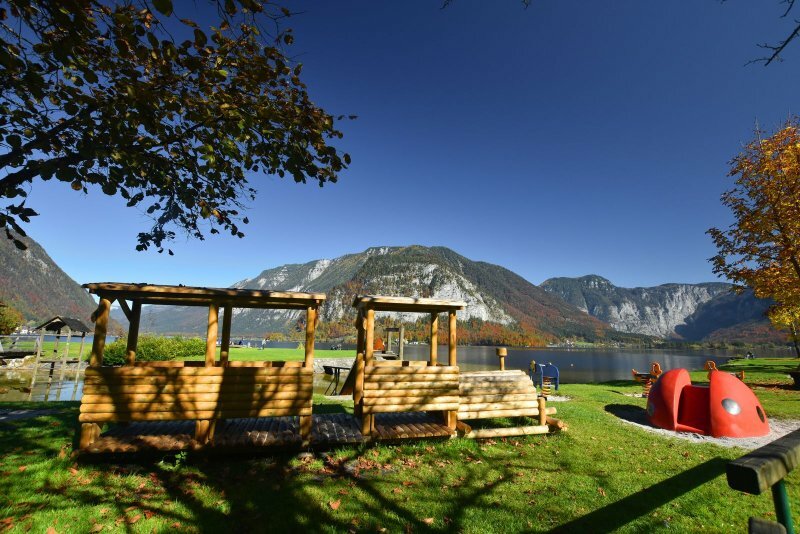 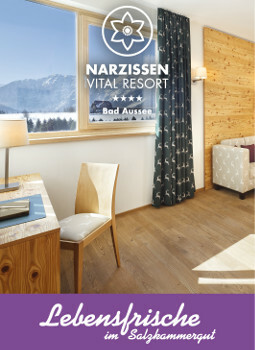 A beach holiday in the Salzkammergut at its best! 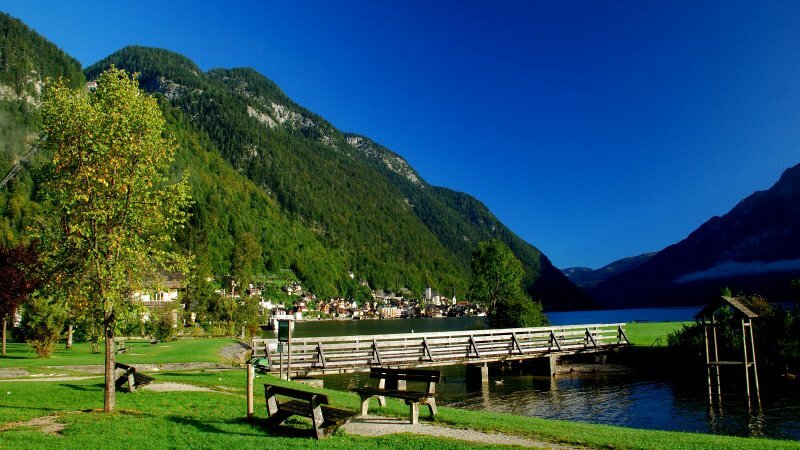 Our insiders' tip: Those who like it especially romantic should go to the Hallstatt bathing island “after dark” and look into the magnificent night sky and the romantically lit World Heritage town. 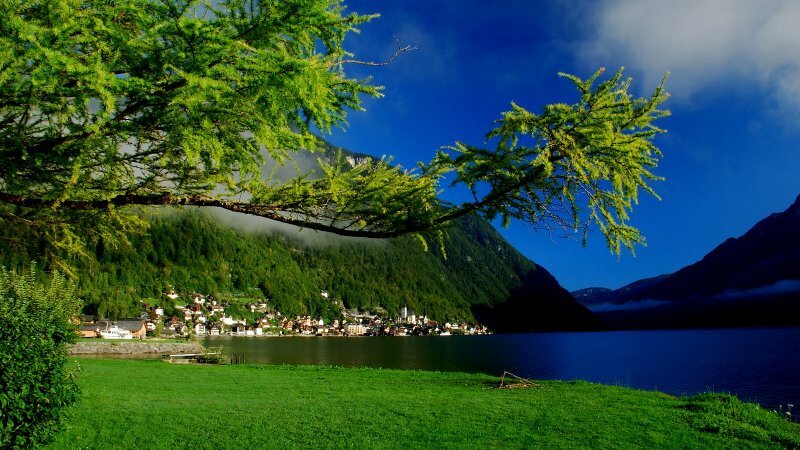 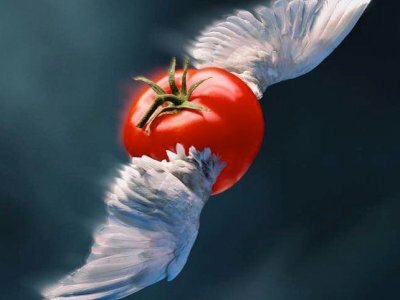 Uniquely beautiful and unforgettable!